3/What he had done during his Asian tour n any special activities Vs When he is outside Asian e.g. Hong Kong: +Interviews from TV,Magazines & Newspapers e.g.Prestige,tvb,apple daily etc. As I talked about the Western music and musicians in Hong Kong and Asia in week 5 blog,now I would discuss more about this here. I was born in Hong Kong in the late 80’s and when I was a kids and grown up,I remembered it’s so easy to get the original version of Western songs on both television and radio.Besides,the local song directors maight choose some good Western songs with musical rythm and vivid melody which were easy to remember and change them into Cantonese version…Alan Tam,HongKongers called him"The Principle of Cantonese Pop"sang a lot of Cantonese songs which were originally from the Australian rock band “Air Supply"!!! 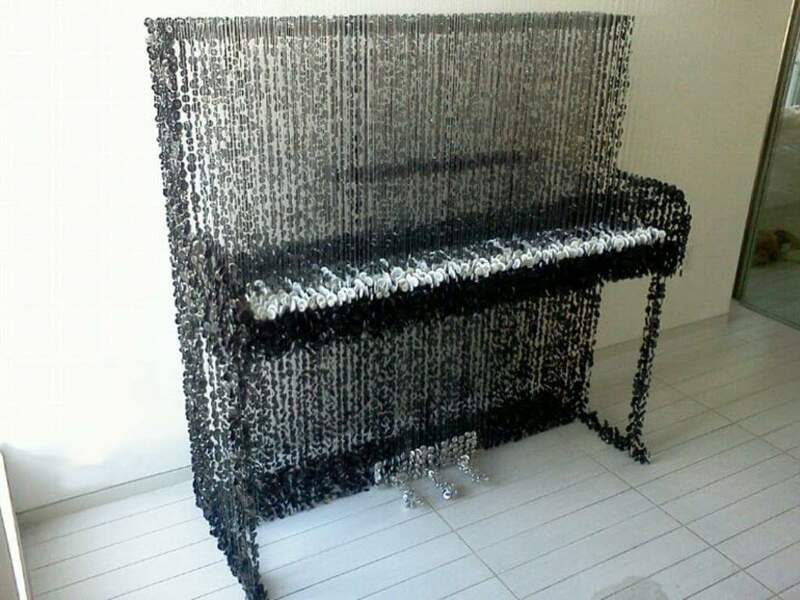 Nowadays due to many reasons,Western music in Hong Kong and Asia is gradually fade out from the markets…And we are no longer to get lastest Western music easily on broadcasting media and we may get such information from online platforms such as their official facebook and youtube channel etc. I as a music-lover really want Western music can keep on very popular in Asia and also more Western musicians come to Hong Kong for cultural exchange that inspirate the local music industry!!! By doing these,I would like to interview some famous Western musicians in HK such as the professional drummer Sty Larocque who works in a club “Iron Fairies"in IKF etc.,also two local musicians who play marching band and orchestra,same like me before hahaha!!! 2/Do u think that the development trends for Western music in Asia got any difference from overseas such as UK,US etc. 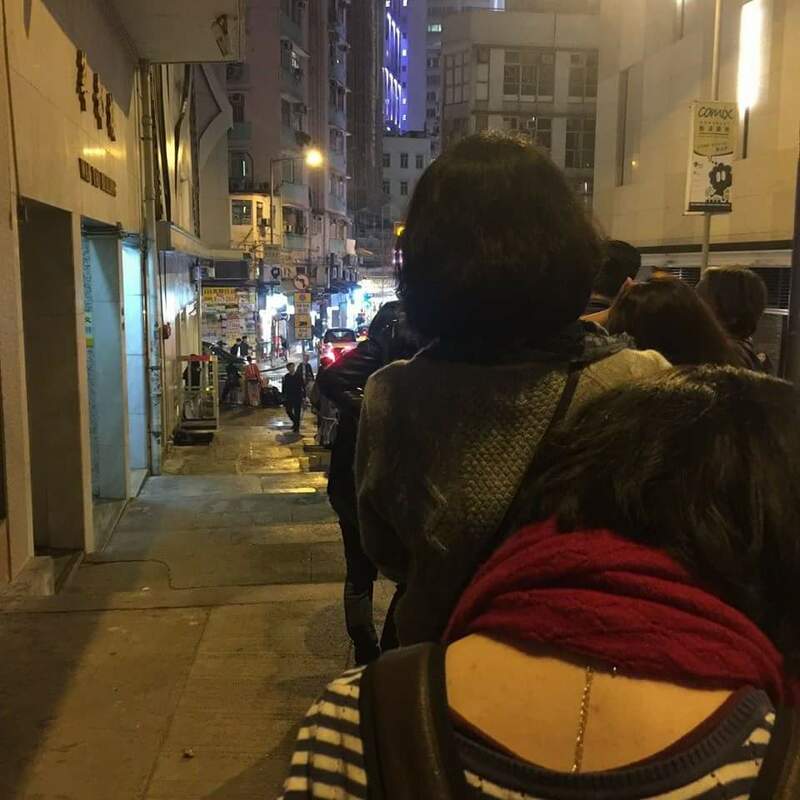 3/How do HongKongers and Asian thought about their favorite musicians,producers,songerwriters etc. 7/How do you think if making Western msuic combining with Chinese music,does it work? 10/What do you wanna say to some HongKonger music-lovers,musicians,producers and songwriters etc. 11/Did you think that the digital networks rapidly grow-up did help on the such develpments??? Since this suject is Digital Asia,so I would like to talk about little bit related to the influences or affects due to the digital networks rapidly grow-up nowadays,also the education of youth etc. 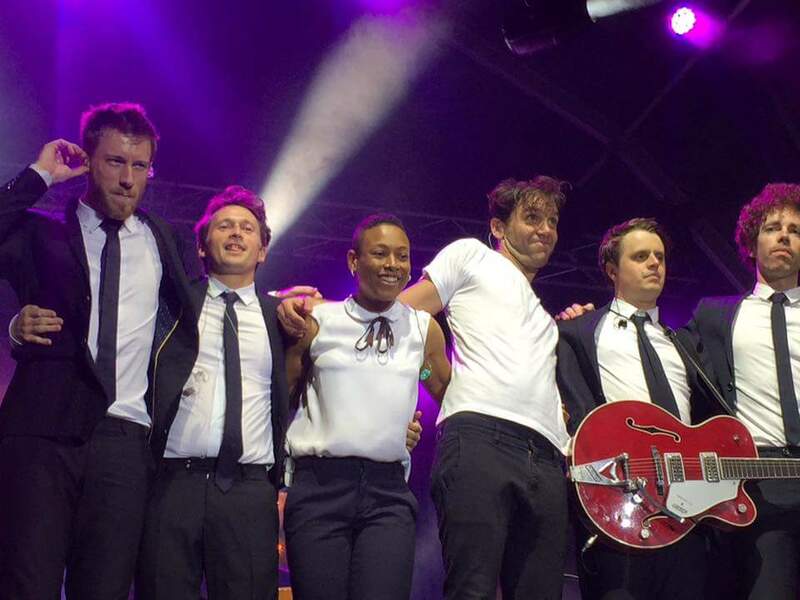 Sometimes autobiographers may use first-person to tell a story, typically when they personally observed or lived through an interaction and participated in an intimate and immediate “eyewitness account" (CAULEY, 2008, p.442).As a result,here I try to write a large part from my own experience on watching MIKA’s gigs in Daegu,Korea and Hong Kong. 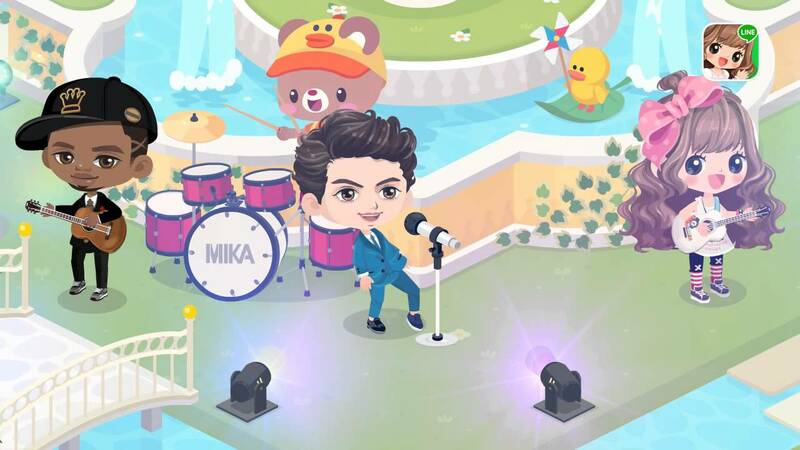 First I may introduce my favorite singer MIKA and also some details about his career background,"MIKA is a UK singer & songwriter, even he come from overseas but he has being SO FAMOUS in Asia for a long time since he start his music career in 2007 and he DO REALLY INFLUENTS ALL his fans from over the world including Chinese,Japanese,Korea,Singpore,Tai Wan,Manlia,Australia,France,Germany,Austria,USA,Afria etc.As he didn’t come to HK and Mainland China for about 10 years, when he first announced he would held on gigs here, ALL his Chinese fans getting mad for this cause his fans couldn’t imagine what they heard about this is real hahaha…"
Then I wrote what I had seen in those gigs,"Last time on 14/2/2016, I went to Daegu, Korea for my first time watching his gig…Mostly in the venue were all women who stood up suddenly and crazy screeching his name when he just sang the second song “Talk about you”. Further when he sang the song “Staring at the sun”, he walked down the stage and moved into the audiences that made his fans want to shade his hands or touched him!! !…Last time I joined his gig in Hong Kong on 22/2/2016, some of his fans from Mainland China asked us to show this when the gig finished. He wanna to know what it wrote on it since he can’t read Chinese and he can read the English at the back, he finally laughed!!!" Sometimes autobiographers may use second-person to bring readers into a scene, to actively witness, with the author, an experience, to be a part of rather than distanced from an event (e.g., GLAVE, 2005; McCAULEY, 1996; PELIAS, 2000). Autobiographers also may use second-person to describe moments that are felt too difficult to claim (GLAVE, 2005; PELIAS, 2000; McCAULEY, 1996).Thus I try to show you a full picture by the sentences I wrote to descride what his fans done before,during and after the gigs,"In Korea,MIKA’s fans made their own UNIQUE pink ‘MIKA lollipop’ in 2013 to show their love & support to him since ‘Lollipop’ was one of song that made him became famous over the world from 2007.When the girls were waiting for the gig started, I saw many of them had reading the lyrics on the paper which they printed them…They just wanna sang with MIKA loudly when the gig started even they are not good at English or maybe they didn’t know the meaning actually!! 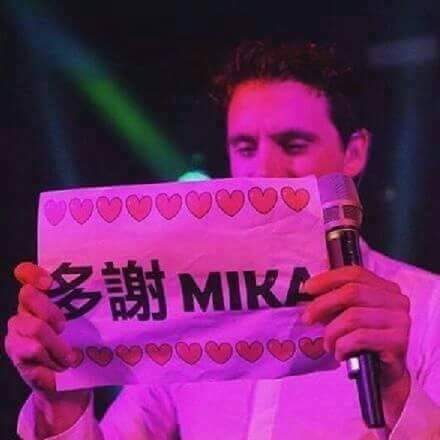 !…Wherever MIKA had gigs,MIKA always invites fans to crazy dancing with him on the stage and it’s from last year in Japan…He is EXTREMELY JOYFUL when he saw his fans taking some funny reaction on the stage, instead of he was singing alone in a big stage!!!" 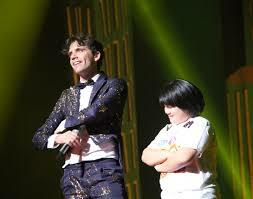 Sometimes autobiographers may use third-person to establish the context for an interaction, report findings, and present what others do or say (CAULEY, 2008).Finially I wrote something how company doing for MIKA,"Since MIKA is THE MOST FAMOUS foreign singer in Korea and I CAN SURE that EVERY woman is crazy for that talent and handsome guys. 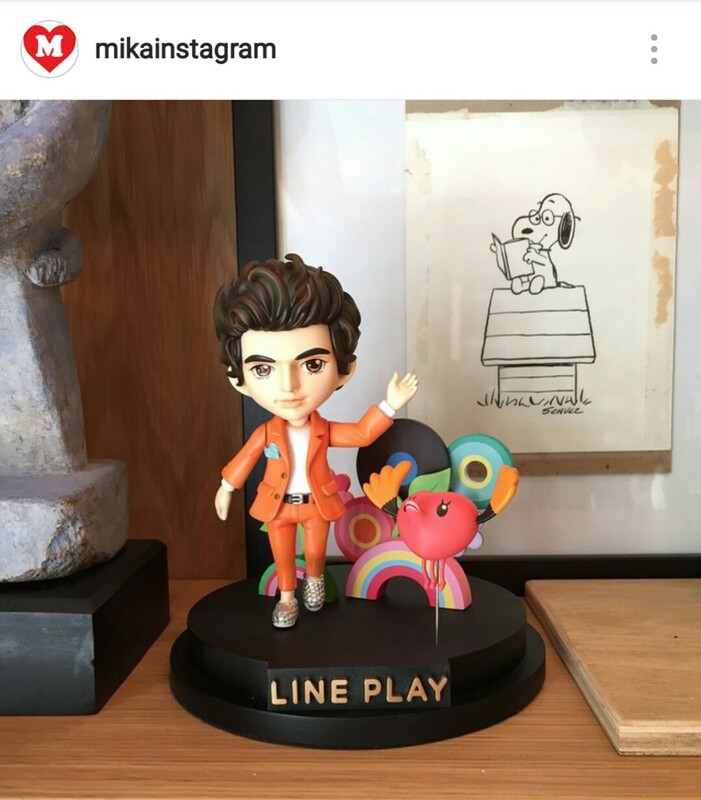 Thus, the LINE game company decided to make his specific character for that game with a story for the LINE PLAY and further made an addition cute music video for his song “Talk about you” by using different of backgrounds like on the beach, on a disco etc. with various FASHIONABLE hot girls and sunny boys, they named it as Official Avatar Video…"
MIKA is a UK singer & songwriter, even he come from overseas but he is SO FAMOUS in Asia for a long time since he started his music career in 2007 and he DO REALLY INFLUENTS ALL his fans from over the world including China,Japan,Korea,Singpore,Tai Wan,Manlia,Australia,France,Germany,Austria,USA,Afria etc. 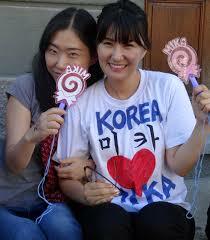 In Korea,MIKA’s fans made their own UNIQUE pink ‘MIKA lollipop’ in 2013 to show their love & support to him since ‘Lollipop’ was one of song that made him became famous over the world from 2007.When the girls were waiting for the gig started, I saw many of them had reading the lyrics on the paper which they printed them…They just wanna sang with MIKA loudly when the gig started even they are not good at English or maybe they didn’t know the meaning actually!!! Last time on 14/2/2016, I went to Daegu, Korea for my first time watching his gig…Mostly in the venue were all women who stood up suddenly and crazy screeching his name when he just sang the second song “Talk about you”. 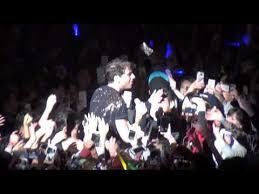 Further when he sang the song “Staring at the sun”, he walked down the stage and moved into the audiences that made his fans want to shade his hands or touched him!!! 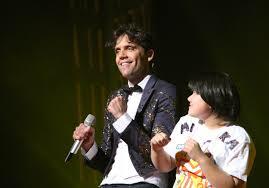 Wherever MIKA had gigs,MIKA always invites fans to crazy dancing with him on the stage and it’s from last year in Japan…He is EXTREMELY JOYFUL when he saw his fans taking some funny reaction on the stage, instead of he was singing alone in a big stage!!! 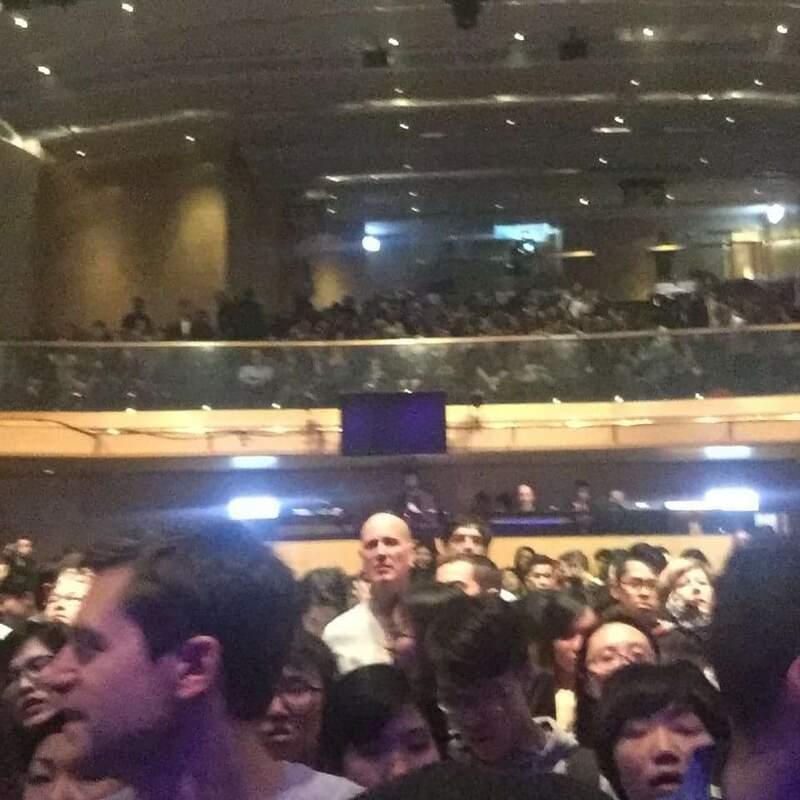 In MIKA’s Hong Kong gig,since there are two layers of that small church named VINE in Wan Chai and in front of the stage only got standing area,so ALL his super fans came early as they could & waiting for at least three hours outside and one hour inside.That day was a rainy day and some of them didn’t go for work or school,they went there in the morning,boring waiting & selfire until the show started. Wk 1@Introduction ：Who am I ??? Before my last job working in Resignation Electoral Office(REO) for one year,I have worked in TVB as a archiving assistant in a new department called MAO(Magadata Archiving Operation) and I used to watch all the TV programs including drama and variety shows also but instead of those contents,I’m more interested in some overseas productions that related to home design,fashion or foods which mostly were showed in Pearl and J2 channel sometimes. Nowadays when we talk about digital Asia,it was really inspired by the Euro or overseas cultures SO MUCH from the past to now and changed our life style a lot!! !So what do u think about it?? ?